Travel with your Pet to the Tucson! We want to help you bring your cat or dog on vacation to the Tucson! Tucson is beautiful any time of year. In the Summer, tho, you really need to prepare for the heat both for you and for your dog. Bring water everywhere for both of you. The deserts and saguaros of Tucson are magical and fascinating. And there are plenty of dog parks!! check the map! We have wonderful petfriendly hotels, petfriendly bed and breakfasts, and petfriendly by owner rentals to offer! New! wheelchair accessible by owner rentals. Want to do a search for a by owner vacation rental yourself? Try Vrbo/Homeaway- filtered for Tucson and pet friendly - just select your dates and how many people you need to sleep! Of course the cacti are dangerous for both of you! But there are wonderful things to do and see in the area, as well as fabulous restaurant fare. Do spend some time on our fun page to help you make the trip worthwhile. I have spent quite a lot of time in Tucson as my mother was a professor at the University there, so much of what is written is from my personal experience. Pet Friendly Hotels in Tucson! See our selection! Bed and Bagels - BOOK IT! $ Petfriendly Bed and Breakfast in Tucson! 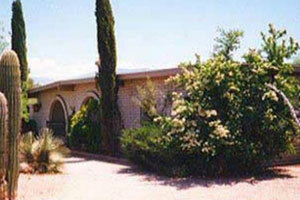 This casually elegant family- and pet friendly bed and breakfast is located on Tucson's scenic east side. Its mission is to make every guest feel pampered, yet at home. Breakfast is full of surprises, reflecting your host's delight in international cuisine and baking. Grounds feature natural desert landscape, pool (with 6 foot child safety fence),jacuzzi, two patios, over-sized hammock, land and water loungers, front courtyard with rock waterfall, a bird feeder and viewing area, and fenced yard for dogs. and more pet friendly hotels in Tucson! Type "Tucson" and your dates! Best Western recognizes the ever growing needs for pet friendly accommodations. "We strive to offer our guests and their furry friends a comfortable stay and have done our best to ensure consistency at all of our pet friendly properties. There may be a maximum $20 per day charge for each room with a pet or multiple pets or a maximum per week charge of $100. 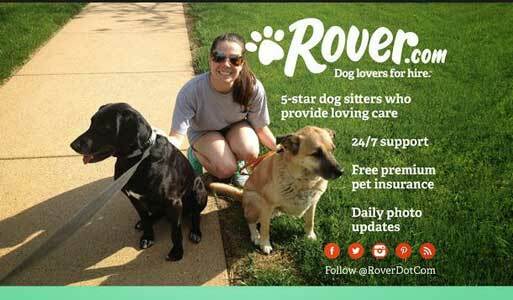 A refundable damage deposit of up to $50 per stay may be required of all guests with a pet." Pet Friendly By Owner Rentals in Tucson! See our selection! Quiet, Beautifully Furnished Condo - 2BR/2BA, sleeps 4; min stay 30-31 nights, Avg $40/nt - BOOK IT! VRBO #25631 - Pets accepted, lovely condo with views of the Catalina Mountains, access to community pools, hot tubs, clubhouses, exercise room, tennis court, & business center. The resort-style grounds act as an introduction to the beautiful Sonoran Desert. If you’re adventurous, you’ll note that the complex has an access to the highly regarded Ventana Canyon trail. You can follow this trail up to some beautiful pools for a memorable picnic, or if you’re feeling hardy, continue on to the 'Ventana' or window which can be seen from all of Tucson! and more pet friendly by owner rentals in Tucson! 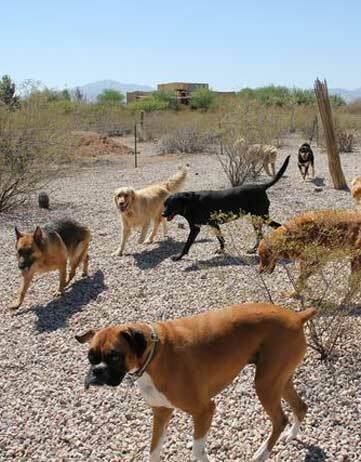 Pet Friendly Dog Parks in Tucson! See our selection! 14,000 sq.ft off leash dog park with shade & water, Fido fountain, scrambling area, shaded area with ramada, and scooper dispenser. and more dog parks in Tucson! Pet Friendly Restaurants in Tucson! See our selection! $$ Stylish Mexican eatery with vibrant decor serving traditional eats & a wide range of tequilas with great Happy hour drinks and cocktails. and more dog pet friendly restaurants in Tucson! Pet Day Care in Tucson! See our selection! Voted best in Tucson, large play area with lots of exercise & socialization time, "camp for dogs", 3 types of dog sleeping quarters & large carpeted cat condos. Cats are housed in a separate room, apart from the dogs, in large cages, which encourage exercise. They have built-in ledges, and are equipped with carpeted cat condo houses, for extra sleeping areas. 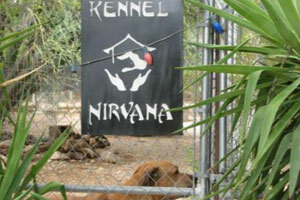 and more pet day care facilities in Tucson! Vets in Tucson! See our selection! and more vets in Tucson! Having Fun in Tucson! See our selection! The Ticket Network offers great tickets to amazing events in the Tucson area... Go to an Arizona Wildcats football game or see the NHL's Arizona Coyotes head off in the Tucson Arena. Buy tickets to the Oro Valley Music Festival at the Golf Club at Vistoso. See Lynyrd Skynyrd or Matchbox 20 at the Anselmo Valencia Tori Amphitheater. Watch Jonny Lang or 2 Chainz perform at the Rialto Theater. Or, be astonished by the American magician, illusionist and endurance artist, David Blaine! Watch Disney's the Little Mermaid at U of A's Centennial Theater. In any case, get your tickets! and more fun things to do in Tucson! Always provide fresh water and shade. Help Your Dog Deal With the Desert Heat! and more tips about traveling with pets to Tucson! Spend some time on our videos page, which shows videos of pet travelers having a great time in Tucson. Our travel store can help outfit with the latest great products for your travels. Please take a look at our blog, and other cities we have done research on on our main map! Have a question? Post it! We will answer, and invite others to do so as well. This is a community! And thank you for coming to our site! This is the www.petfriendlytucson.com page of thewww.petfriendlynorthamerica.com global website.